the image shows the approach to Maam Cross with the school on the left. The senders must have stayed near Peacockes’ cottage which was across the road from the Hotel and pub.. I remember the white stones which marked the road edges. These were whitewashed on a regular basis by the surface men. 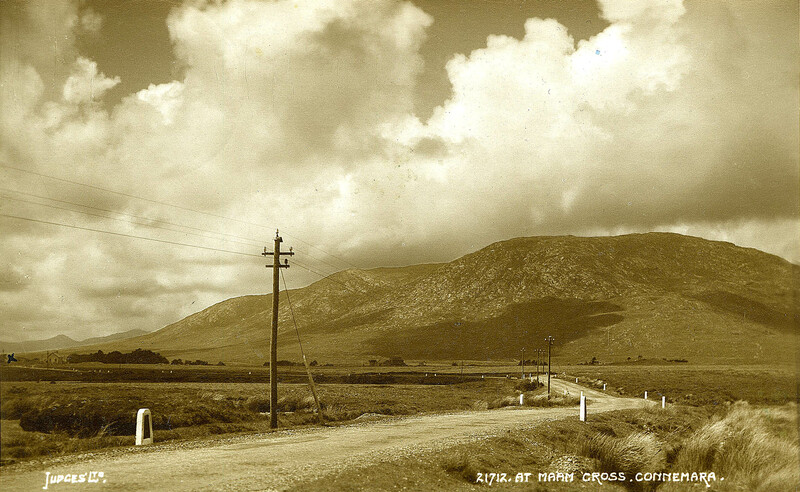 The wire on top of the telephone poles was a dedicated line for the Marconi radio station at Clifden. The railway station can be seen in the middle of the picture and appears to be intact which means that this photo could date from the 1930s.